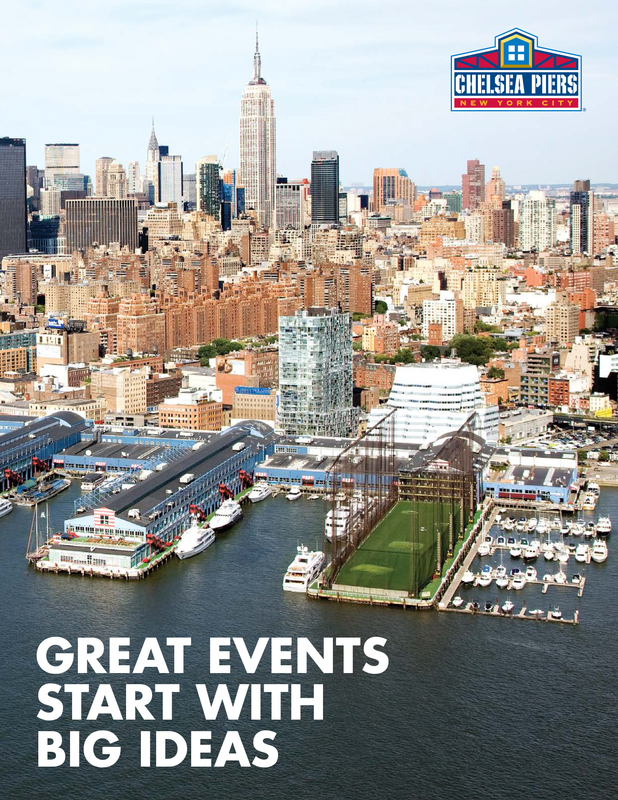 Situated on 28 acres along the Hudson River between West 16th and West 22nd Streets in New York City, Chelsea Piers is a 1.2-million-square-foot sports & entertainment complex that is ideally suited for large-scale corporate, media and special events. Sports facilities include a 200-yard golf driving range, a 150,000-square-foot fitness club, a 70,000-square-foot field house, two indoor ice rinks, a 40-lane bowling center and an active maritime center. In addition to the sports facilities, the Piers also boast multiple private event spaces, including Pier Sixty, The Lighthouse, Current and Sunset Terrace. We like to Think Big. For nearly 20 years, Chelsea Piers has been hosting high profile events for hundreds and thousands of guests. We love working with companies, production teams and event planners, and pride ourselves on understanding their vision and crafting plans that meet their high expectations. At Chelsea Piers, we thrive on the challenge of transforming our riverside venues into innovative and one-of-a-kind event spaces. Our dedicated special events team knows the right questions to ask to help make your vision a reality.